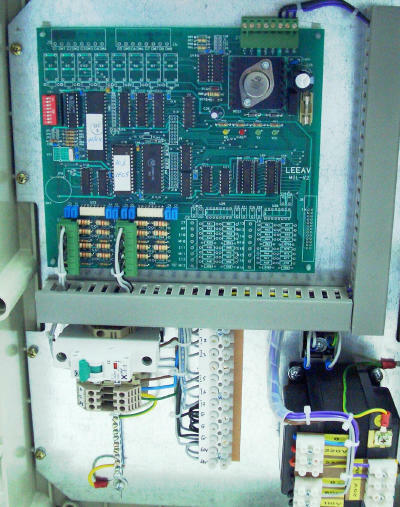 The MIL-2000 universal interface allows connection of the monitor to almost any electromechanical Or electronic elevator system controller. Transfers status information from the elevator system controller to the monitor and Control Connection in which the monitor can change status or activate functions in the controller. Two wire connections for each signal bit to ensure full isolation, protected by optical isolation and filtered to the microprocessor. Configurable from 16 to 272 signal connections per MIL unit. Separate user-definable positive or negative logic for each signal. Up to 8 dry contact relays may be connected. Optical isolation of relays from native system. Function is ON/OFF for all operational voltage ranges from 0 to 250 VAC, up to 2 amps.